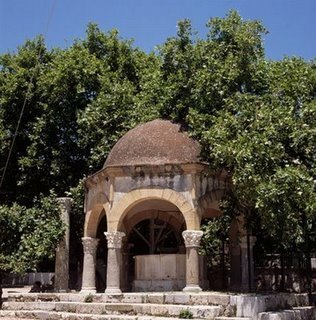 Kos is a rich in historic monuments island and presents notable archeological and tourist interest. The island has been inhabited since the pre-historic times. It was first colonized by kars and in historic years it accepted Dories from Argolida. 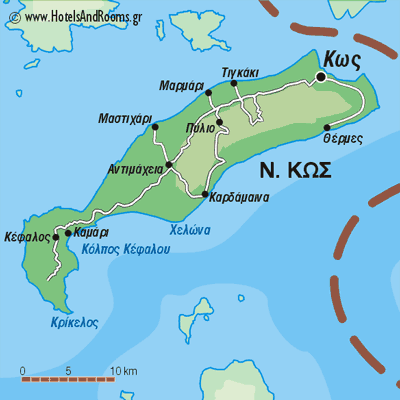 In the period of 7th-6th centuries B.C., Kos together with the cities of Knidos, Alicarnassus, Ialyssos, Kameiros, and Lindos consisted the Doric hexapolis. In 500 B.C. it was captured by Persians from which it was liberated in 479 B.C. and became a member of the Athenian Treaty. It knew a great development in the 4th century B.C. 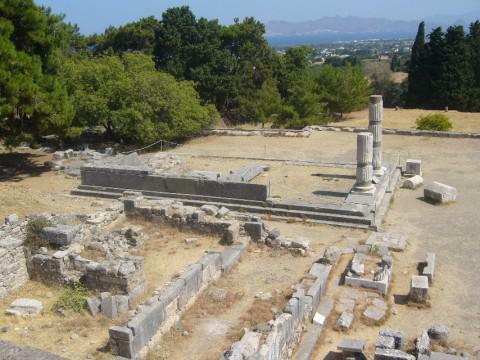 mainly after the establishment of the new city of Kos (366B.C.) 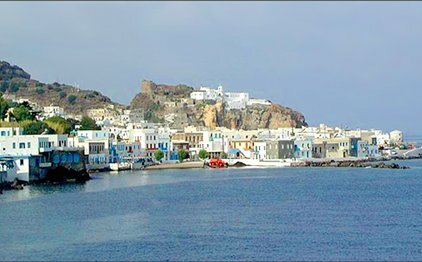 in the NE coast of the island, in the position of the present capital. Hippocrates (460-357B.C. ), father of Medicine, was born in Kos, after the death of whom, Asclepium was founded on the island. It was conquered by Alexander the Great in 366 B.C. Over the years of Roman Empire, the island fell into decay but got to know new prosperity in Byzantine years. It was looted by Saracens (11th century A.D.), came into the hands of Genova and Venetians and in 1315 into the Order of Hospitallers. In 1522, it was captured by Ottomans while in 1912 it became an Italian territory. It passed under German troops on October 3rd 1943 and on May 9th 1943, is recaptured by the British. 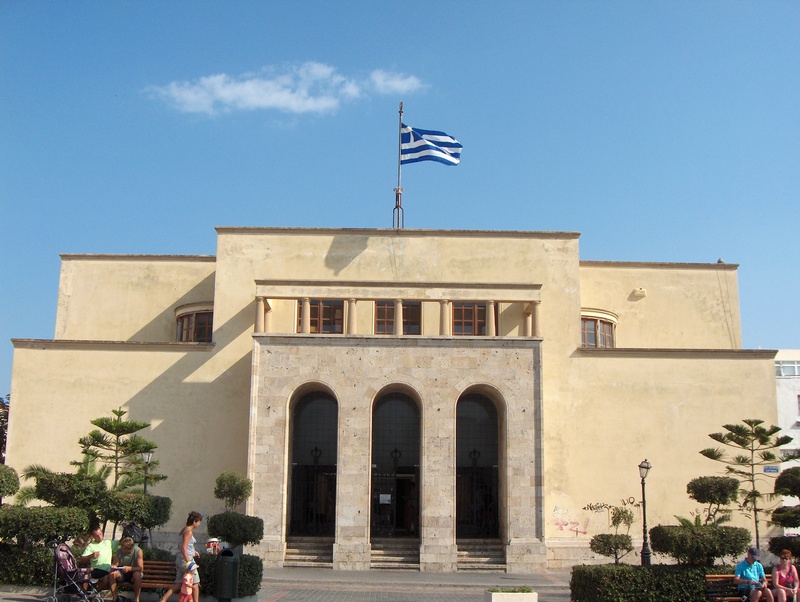 On the 7th March 1948, the incorporation of the island in Greece takes place. 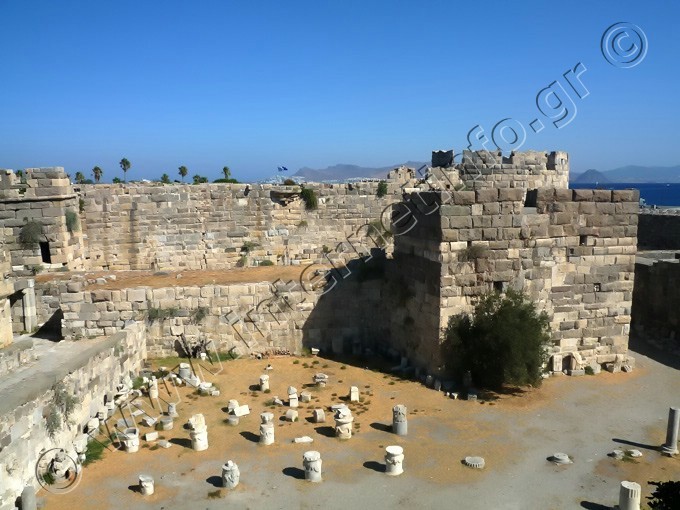 There are still remains of the ancient city along with Hellenistic and Roman buildings near the port. In this area there are sectors of the Ancient Agora (4th-3rdcentury B.C. ), the Great Arcade (Foros Arch) and other smaller arcades with sanctuaries dedicated to Dionysus, Aphrodite and Hercules. 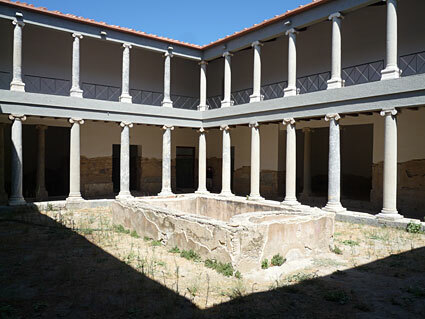 In the interior of the city, the Conservatory (3rd century B.C.) well conserved with 12 stands and arched arcades, the Casa Romana, restored roman mansion with marvelous mosaics. Additionally, Xysto (part of the gymnasium) (2nd century B.C.) with sixteen restored columns from a total of seventy originally existing, the two buildings housing the Hellenistic and Roman baths and a part of the Roman road with marbles, mosaics and tessellated sections. Kos is famous for its local baklava and sweet small tomato. Posa’s cheese is a local recipe, goat cheese kept within red wine. 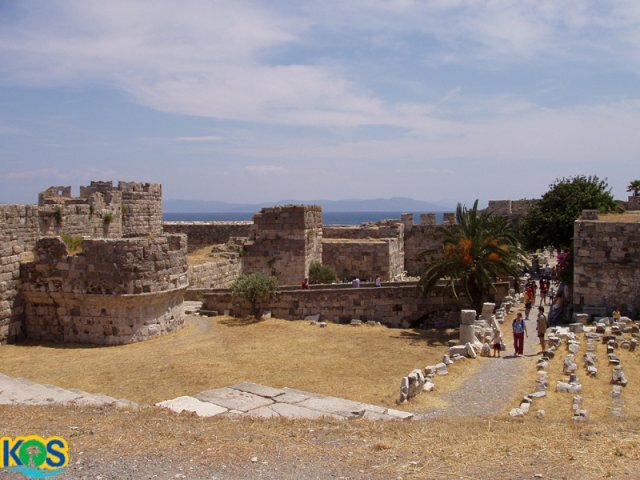 While traveling in Kos, you should visit the Castle of Knights, the Asclepium, and the plane tree of Hippocrates. 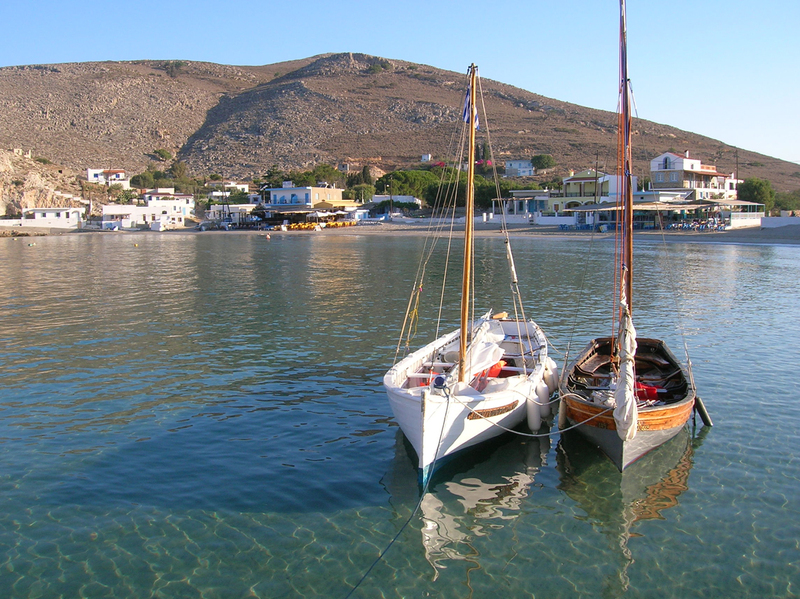 Kos is the ideal starting point for short trips to neighboring Kalymnos, Pserimos and breathtaking Nisyros.